Miss Frankie J likes this. I'm no expert, but I'm expecting Hawaii to be the new "shoulder season" for the Wonder if it continues to be popular enough. Northern repo --> Hawaii --> Alaska --> Hawaii --> Southern repo. That would put a there-and-back pair of Hawaii cruises on the Summer 2020 release, scheduled in late August or early September. And Mexico. San Diego sailings are popular with those in California and the rest of west coast. Hello! Not sure if this has been posted already, but got a sneak peak of one itinerary that will be released. If you look at the port schedules you can sometimes see the 2020 summer berthings. For example the Orkney Harbours website shows the Magic arriving in Kirkwall on August 28th, 2020. It arrives from Reykjavik and departs to Dover. Certainly could be the reverse itinerary of this summer's (July 2019) Iceland and Norway cruise! Love that the Magic is stopping in Kirkwall again! Nice find. And quite opportune for us, as we'd love to finish a long Asian/European trip that summer with a big cruise on the Magic. Would October also be included in that estimate or would those roll out at a later date? Considering how popular (and expensive) the spring 2020 Hawaii cruises were - DCL would be wise to schedule two more one-way cruises for September 2020. Any reason why Disney won’t/can’t schedule Hawai’i in July or August? We are in the U.K. and our children only have six weeks off from end of July until beginning of September and we are desperate to do a Hawaiian cruise! I don’t get why they have only ever scheduled them during term time - surely there are other families that would want to go to Hawaii? I get that the Alaskan cruises have been popular for years, but surely they could forego them for one year? After all, they aren’t selling out like the Hawaii ones are they? iivye and Mika02 like this. Could be that the Wonder is doing Alaska during July and August. The Mouse can turn several Alaska cruises in the same time the ship can go to Hawai'i and back. Mika02, amystevekai&bump and gilsan like this. tink1970, amystevekai&bump and gilsan like this. Yes, we’ve flown to Hawaii a couple of times, but really want to do another cruise with our children to the islands (we sailed from Vancouver pre-children with CCL). I know we could do the Norwegian cruise from Honolulu on the Pride of America, but we’d much prefer to do it with Disney. I’m just getting really fed up of Disney doing the same old,same old every summer - we are going to Norway with them this year, and have done the Med ones three times, but we don’t fancy Alaska at all - we like the summer to be warm - after all we get enough cold in the U.K.! tink1970, Mika02 and mmmears like this. I have a question about timing. I thought I understood how all of this works but turns out, I don’t! We are all awaiting the day the new itineraries are released for summer 2020. There is also a lot of discussion regarding booking dates for various Castaway Club levels and DVC folks. Are the itineraries released first then after a period of time they set dates for platinum booking then gold then ...? How much time will there be to digest the routes before it’s time to book? OR can platinum book the same day the intineries are released? Thank you in advance for the clarity! I think - may be wrong - we have seen the itineraries on Thursday and Platinums could book on Monday, Golds on Tuesday, Silvers on Wednesday, newbies on Thursday. Yes that’s been the pattern for the last year. 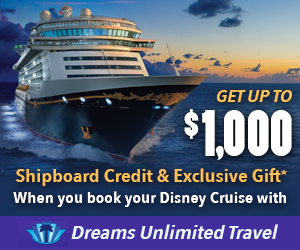 We are WDW veterans and I booked our first Disney Cruise for 1/20-1/24/20 on the Disney Dream. We are a mom/daughter duo. I am really excited. We will do the parks most likely before the cruise and 1 night after. AquaDame, Mika02 and Cruising Engineer like this. If they forgo Alaska for a year they may be in breach of contract depending on the timing... if they wait until the contract expires and take a year off their spot may be swooped up by another line. Ports are very much use them or lose them if they are popular. Raptor83, ofcabbagesandkings, amystevekai&bump and 2 others like this. gilsan, amystevekai&bump and mmmears like this. I may be in the minority on this board, but we live in CA and nobody i know here ever considers cruising to Hawaii. Hmmm.....well, you don't know me. We've done 2 Hawaii cruises (one DCL, one Princess). Also have a Hawaii/Tahiti cruise upcoming. And we live in CA. We've also flown to Hawaii, when that was the destination. We view our cruises as the destination, and any ports of call part of that trip. ChicosWife and Mika02 like this. Which line is the Hawaii/Tahiti on?